They did a terrific job and were punctual. They were prompt and did the job without a delay. The job site was very clean and tidy. They came as scheduled and were very professional and neat. They gave me their cell phone number if I had any questions. He is reliable and knowledgeable. He knows what he is doing. The promptness, they say what time and they are there. 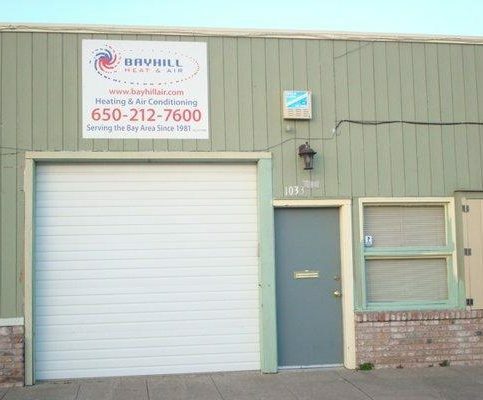 Bayhill Heat & Air is an HVAC (heating, ventilating and air conditioning) contractor that serves homeowners in San Mateo, Santa Clara, Alameda and San Francisco Counties. 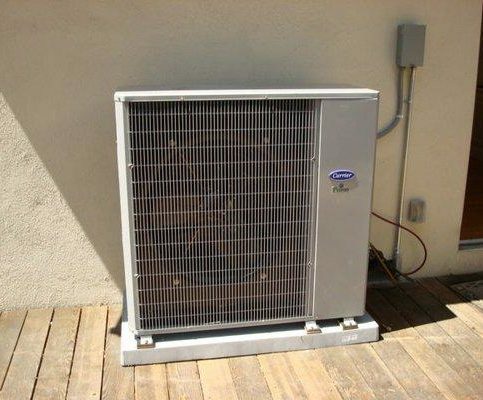 The company fabricates, installs, maintains, services, and repairs new and existing HVAC systems, including floor and wall furnaces, heat pumps, insulated ducts (aluminum, wire flex and hard pipe), and roof top units. It also provides system relocations and upgrades. 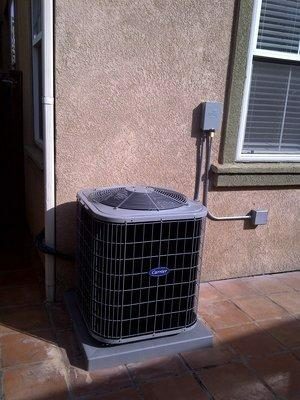 Bayhill Heat & Air recently installed this HVAC unit on a client’s property. 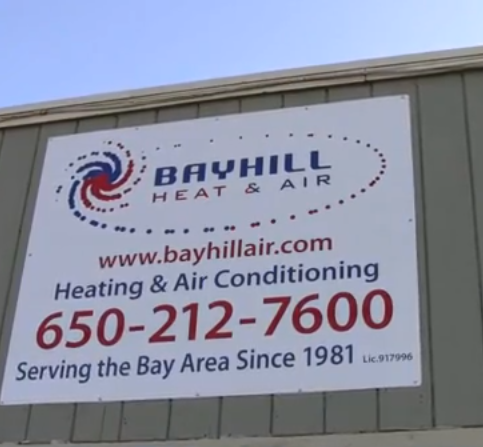 Bayhill Heat & Air has been providing HVAC services for homeowners throughout San Mateo County since 1981. 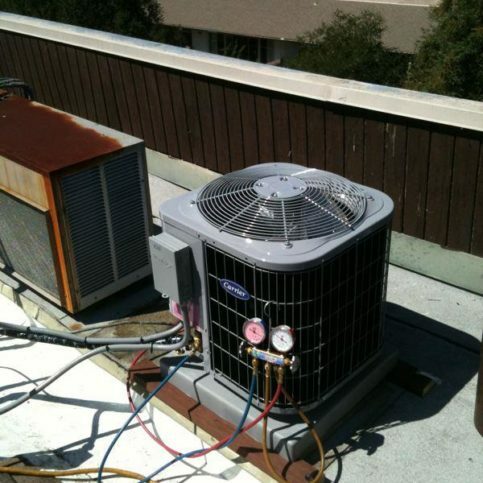 The company’s primary focus is fabricating, installing, maintaining, and repairing new and existing HVAC systems such as air conditioners, furnaces, heat pumps, insulated ducts and rooftop units, but it also has the capabilities to perform system relocations and upgrades, provide 24/7 emergency services, and more. 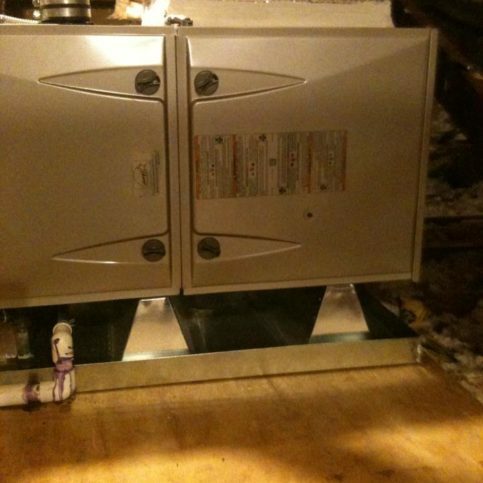 If you’re a homeowner, make sure you know some basic safety information about your furnace. 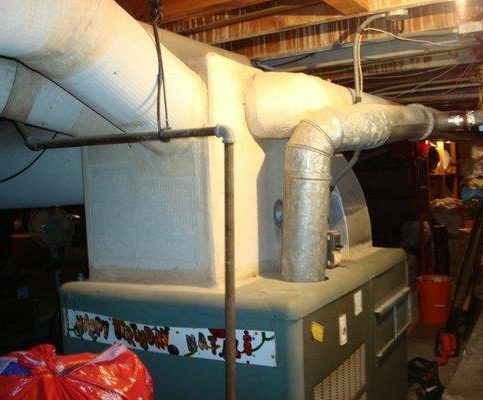 HVAC units keep homes comfortable throughout the year, but most people don’t realize that a malfunctioning or old furnace can endanger both their homes and families. Consider carbon monoxide, for example—it’s an odorless, colorless gas that’s produced during combustion, and it can be deadly in the right circumstances. 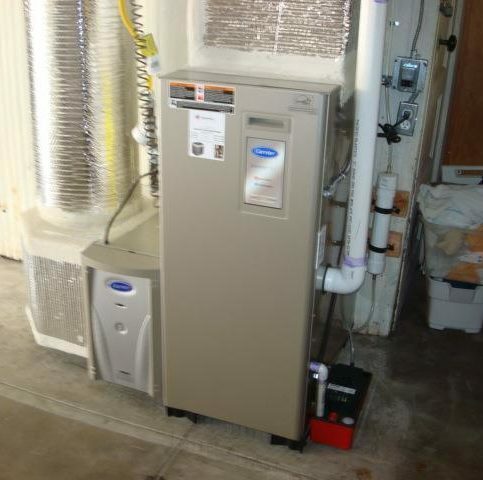 Every gas furnace creates carbon monoxide during the heating process, but most only produce small amounts that are carried out and away from the home. However, furnaces that are running inefficiently because of age or faulty parts can create higher levels of carbon monoxide, which can be toxic to anyone living in the house. 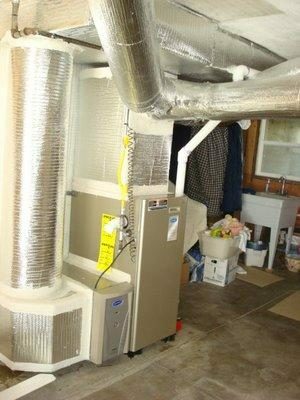 Have an HVAC professional conduct an annual safety check to ensure your furnace and all its parts are functioning correctly. This may include searching for cracks in the combustion chamber, performing a deep cleaning, or lubricating any motors or bearings. Replace your furnace’s air filter three to four times a year, depending on manufacturer recommendations and how frequently you run your HVAC unit. 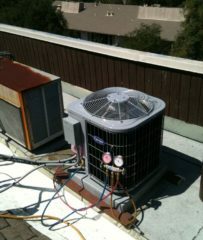 Make sure fresh air can flow to and from your HVAC unit. 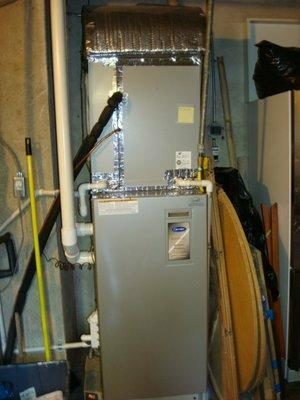 “Sometimes furnaces aren’t aesthetically pleasing and homeowners want to cover them with sheets, but you need to make sure the area around your HVAC unit is always clear and vented,” says Mr. Valderrama. Never close more than 20 percent of the air registers in your home. 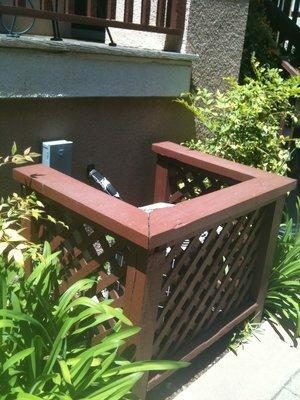 Better yet, keep all register vents open to allow for adequate air circulation and prevent stress on the system. Q: Are you qualified to do the HVAC work I need? A: Absolutely. 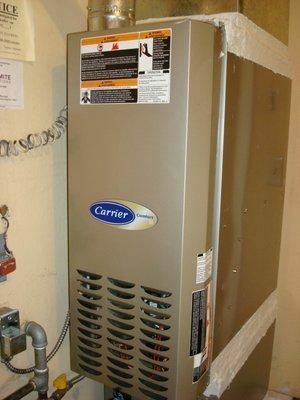 We can provide you with information that shows we’re skilled and experienced with all types of HVAC installations and repairs. Q: What kind of equipment do you install? A: We install Carrier equipment that’s American-made and purchased directly from the dealer. A: We offer five-year warranties on installations, materials and labor, and we provide a one-year warranty for minor repair jobs. Manufacturers’ warranties also apply on most products, and if you ever have any issues or problems, we’ll come back and take care of them for free. Q: Should the air flow in all my registers be the same? A: It should be very similar, but sometimes it’s hard for older systems to maintain an equal flow. 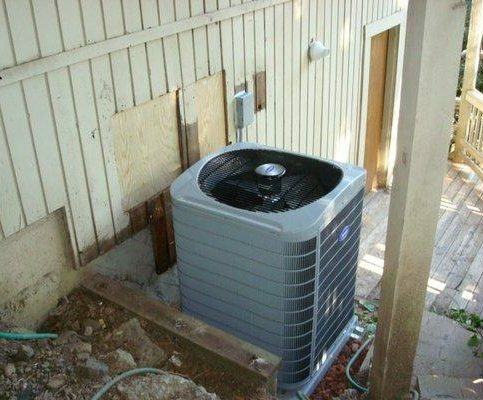 If you notice a sudden change in your system’s air flow, call us and we’ll come inspect it. 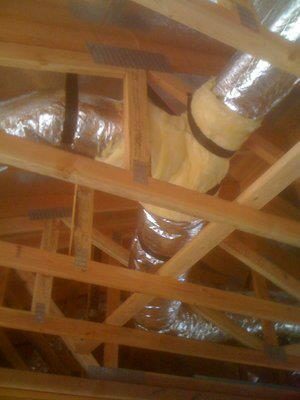 Q: Is it safe to close the air vents in rooms that I don’t use often? A: No. You should never close vents because that could create back-pressure and overheat your HVAC system. If your house is big and you want to close some vents, we can make changes that enable you to control the air flow without overheating the system. 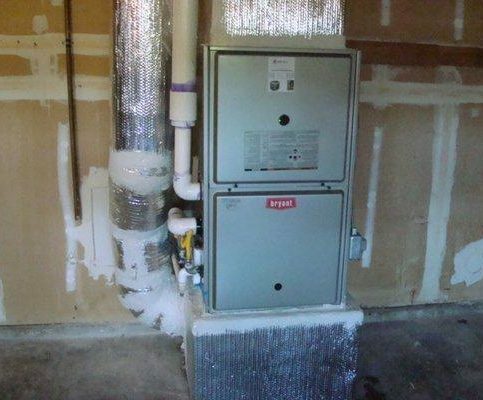 Q: Does it really matter which type of filters I use in my furnace? A: Yes, you have to be careful about the filters you use. 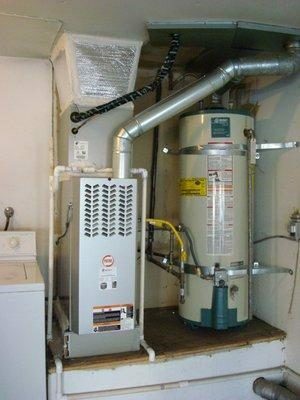 Sometimes, high-efficiency filters that you install yourself can actually create problems with your system—if they’re too tight, for example, the furnace may not get enough air. Ricardo Valderrama is a veteran of the HVAC industry and owner of Bayhill Heat & Air, a Diamond Certified company since 2010. He can be reached at (650) 469-3972 or by email. SAN MATEO — Ricardo Valderrama was raised in the heating and cooling industry, so it didn’t take long for him to take up his family’s trade—an enterprise he began in his native country of Peru before fully realizing it in the United States. “Growing up, my family had a commercial heating and air conditioning business, so I decided to follow that path and went to university to study industrial engineering,” he remembers. “During that time, my grandmother brought me with her on vacation to San Francisco, and I quickly fell in love with the city.” Upon completing his university term in Peru, Ricardo returned to the U.S. to attend trade school before going to work for a San Francisco HVAC contractor. Five years later, he struck out on his own and founded Bayhill Heat & Air. A: The future, just to see what it’s going to be like. I already know about the old stuff; I want to know what’s coming. Q: What’s your favorite type of food? A: I love Asian cuisine, particularly Japanese fresh leaf sushi. A: Being a funny guy. Not a class clown, just generally funny and able to make light of things. SAN MATEO — On July 1, 2015, a new law will go into effect that aims to phase out conventional, battery-operated smoke and carbon monoxide detectors in favor of new, one-use-only models. Equipped with tamper-proof 10-year batteries, the new alarms are designed to diminish the number of fire-related deaths that result due to dead or missing alarm batteries. In addition to creating a safer home environment, the new detectors have a “hush” feature, which allows residents to silence the alarm when it’s triggered by a benign source like cooking smoke or shower steam. After 10 years, an alarm will sound to let you know it’s time to replace the unit. If you’re planning to remodel your home or replace your HVAC system, be aware that California building code will require you to replace your existing smoke and CO detectors in conjunction with the job. While this will add to the cost of your project, it’ll also add to the safety and security of your home. Additionally, you’ll save an estimated $40 in battery costs over the alarm’s 10-year lifespan. SAN MATEO — Host, Sarah Rutan: As the warm summer weather sets in, it’s time to get your air conditioner primed for optimum performance. Today we’re in San Mateo with Diamond Certified Expert Contributor Ricardo Valderrama of Bayhill Heat & Air to learn how. Diamond Certified Expert Contributor, Ricardo Valderrama: Today’s tip is about air conditioning. We’re coming on the summer season, and we want to make sure that all our equipment is free and optimized to yield less energy. One of the things that you could do is you could check, yourself, for the air filter or you could call a company to actually do some cleaning of the condensing unit outside in the yard and check the blower motor. By checking the blower motor, you want to make sure that it’s going fast enough to get the maximum out of your air conditioning because a lot of times, if the blower motor is not working at full speed, then efficiency of the air conditioner will be less. It will cost you more to run it and your comfort level will be less. Check the electrical current and make sure the system is optimized for maximum efficiency. SAN MATEO — Host, Sarah Rutan: If you’re a home or property owner, you’ll need to know about new rules in 2015 regarding smoke and carbon monoxide detectors. Today we’re in San Mateo with Diamond Certified Expert Contributor Ricardo Valderrama of Bayhill Heat & Air to learn more. Diamond Certified Expert Contributor, Ricardo Valderrama: Let’s talk about smoke detectors. And, carbon monoxide detectors. As of January 1st, 2015, new rules. If you have a remodel, a furnace replacement, air conditioning, the inspector will ask you for this type of smoke detector with a 10 year battery. No more chirping when the battery dies. You’ll be okay for 10 years. After 10 years, you’ll throw it away, and you get another one. Now, let’s talk about carbon monoxide detectors. Most localities suggest to get a combination of carbon monoxide detector and smoke detector, to be located in the hallways. The same kind of idea. It does have a 10 year battery. No more chirping. No more dead batteries. And, after 10 years, you replace the whole thing. Bayhill Heat & Air : Average 9.1 out of 10 based on 249 unique customer surveys of customer satisfaction. They do a good job and they do what they say they are going to do. They helped us get our house sold. I think they are hardworking and they do a good job. They are cordial, they did a good job, and they are responsive. They do a good job and they will work with the city and everything like that and it was a good experience. They were relatively self directed and they took care of what I needed. They were reliable, clean, they showed up on time, and they were super friendly. they are perfectly fine to use and they do their job. They explained everything and went over options. It just was a good experience and they did a good job. Ricardo is a trustworthy guy and he follows through. They told me what they were going to do and they did it and they did it efficiently. They were really professional and they did everything the way they explained they would do it and when something went wrong, they didn't charge me extra for it. The owner had personal contact with me and he supervised everything. The quality, and everything worked. They are very helpful, they know their business, and they help you with your new heating and air system and they teach you how to use it. The quality of their work and they started and finished on time and they were very clean and every day, they cleaned up before they left. 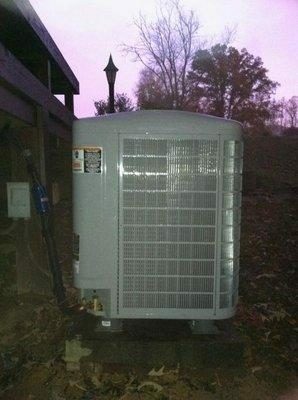 If you need heating and air conditioning, ask them to do it for you. They are very considerate and they check the whole system and they do any necessary adjustments. They did the job quickly, quietly and they were clean. Honest, reliable and top quality, they take each one's needs into consideration. I am very satisfied. When I needed help with my thermostat, they came back and helped me. They do what they say they will do. I think they're professional and friendly and did a great job.